Example Matt and his wife kaley does not over breed their dogs , so lets say they have 3 litters a yr and their bullies had about 10 pups each litter ,since their bullies were platinum DNA profiled they received funds in the amount of $300.00 , just for properly breeding and having their bullies platinum DNA profiled. 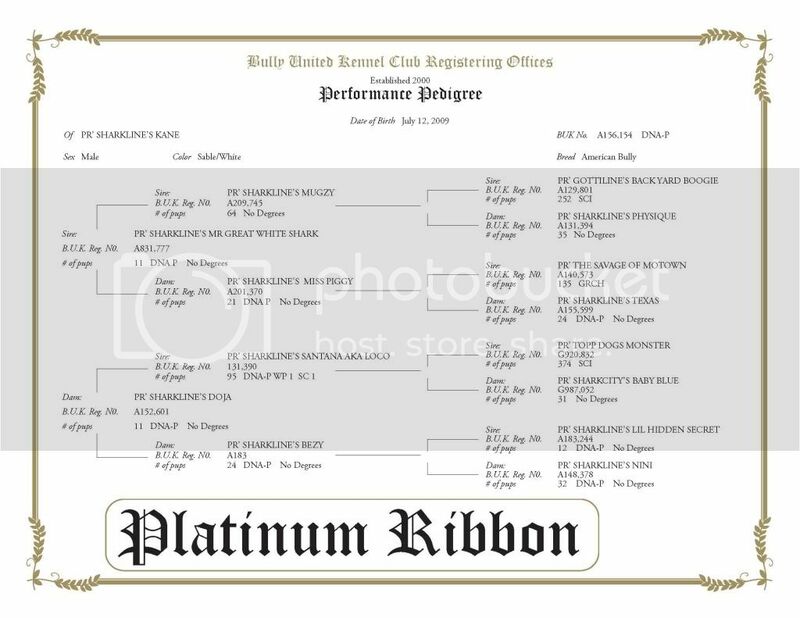 If you have DNA profiling in your 3 generation pedigree you get platinum profiled. You will receive funds from the BUK club as well. BUK ca fraud threw fake papers, so far the DNA rewards program is working great people have purchased bully kennels or used the extra money for food, dog houses etc, bully me up with DNA rewards , so we can encourage breeders to DNA their yards and stop united kennel club gives back to the bully community. thank you bully community .